With a HAL CO Screen Porch. 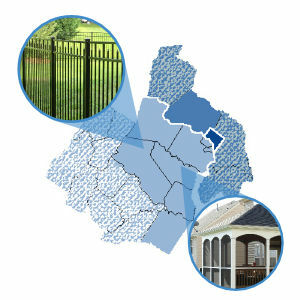 We’ve delivered over 5,000 fences, decks, and screened porches to satisfied customers throughout Northern Virginia. Hal Co is a name that has meant high quality and dependability to Northern Virginia and Washington Metropolitan area residents since we first opened our doors in 1981. Demanding new designs are a cornerstone of our commitment to providing high-quality fences. Deck construction involves proper footings, structural supports and secure contact points with your existing home. Constructing your dream deck demands advanced contractor proficiency to ensure your outdoor space remains safe, attractive and enjoyable. Hal Co specializes in the design, construction and maintenance of residential screen porches, porticos, gazebos and other custom outdoor carpentry structures. Let’s work together to create something spectacular to improve your outdoor space. At Hal Co we install and construct high-quality fences, decks, and screen porches that add value, beauty, and practical improvements for thousands of commercial and residential customers in the Northern Virginia area. 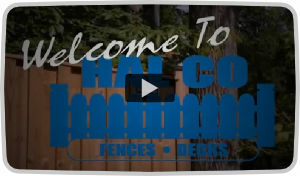 Since 1981, the Hal Co tradesmen have crafted long-lasting, attractive outdoor improvements that stand the test of time. Our services include design and installation of all types of fences, decks and custom screen porches, along with specialty outdoor carpentry features. Call us today to find out why Hal Co is the preferred provider of fences, decks and screen porches in Northern Virginia. Adding a decorative, functional fence, custom-designed deck, or comfortable screen porch can take your outdoor lifestyle to new heights and increase the curb-appeal and resale potential of your home. We walk you through the process from conceptual design to gorgeous finished product with precision and ease. 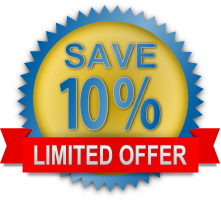 Get a FREE online quote with no obligation.